AllPromoStore.com wants to help you market your name in high traffic areas and custom branded Coolers are a sure way to make an impact. Personalized coolers keep food fresh and drinks cold, save your clients money, and display your brand to potential clients all at once. 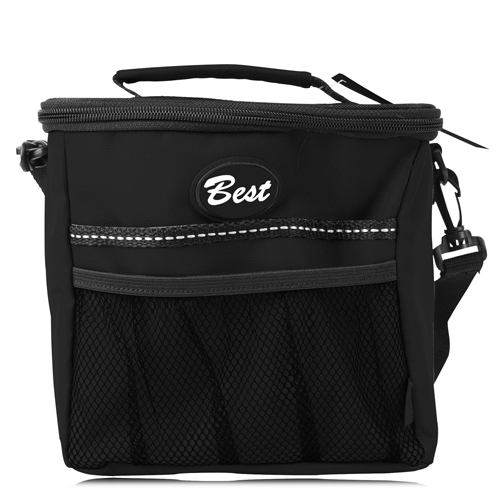 People love to use coolers at the beach, in parks, for picnics, to transport lunches and meals to work, etc and therefore are a great way to promote your business in all of these high-traffic areas. AllPromoStore.com has a wide variety of styles, sizes, colors and logo imprint options to meet your promotional needs- all at affordable and competitive prices. Regardless of whether you are trying to raise money for a team or organization, or you are a beverage company trying to promote your drinks, custom logo coolers are a great choice. From Eco-friendly lunch cooler bags to Six-pack watertight coolers, even Wine-coozie carriers, AllPromoStore.com has got your needs covered! Portable insulated ice bucket bags are a great option for beach-bars and restaurants, while insulated shopping bags are a perfect advertising choice for grocery stores. We even offer Deluxe cooler chairs, Roller coolers, and Radio coolers which are all guaranteed to make your name stand out at the beach! So take the first step to capturing new customers or rewarding current customers and team members now- contact AllPromoStore.com and we will assist you step-by-step with all your promotional marketing needs!